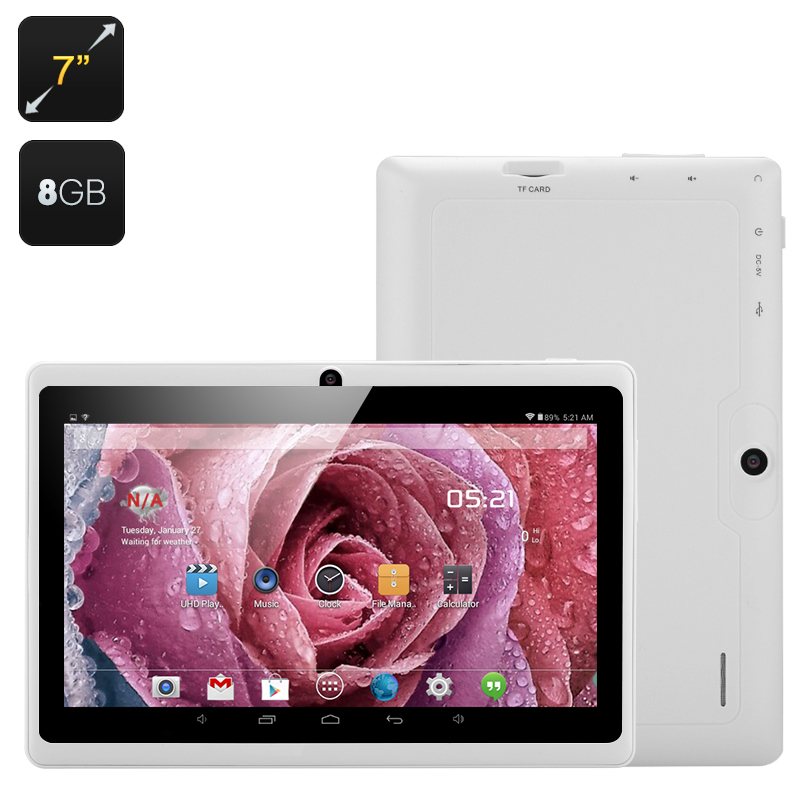 Successfully Added 7 Inch Android Tablet 'Orion' - Android 4.4, Quad Core Allwinner A33 CPU, Mali 400 GPU, Bluetooth, Wi-Fi, OTG (White) to your Shopping Cart. This Orion Android 4.4 Quad Core Tablet PC has an Allwinner A33 chipset and a Mali 400 GPU then lets you enjoy games and movie entertainment on its 7 inch screen. With an Allwinner Quad Core CPU and Mali 400 GPU, this 7 inch tablet known as the ‘Orion’ is the new master of out 7 inch screen tablet lineup. Thanks to the performance enhancing Android 4.4 operating platform the ‘Orion’ tablet puts in a great performance time and time again as the OS can handle multitasking more efficiently than its predecessors. The other advantages that come with the Android 4.4 OS are the inclusion of voice commands via the OK Google functions so it can be used hands free as a personal assistant that can set reminders, search for addresses and directions and even take notes, perfect for the busy exec or hard working student. With immersive screen views you get to enjoy more of what you like and the customization allows for almost unlimited personalization of this device. weighing a little under 280 grams this 7 inch tablet pc is very portable so you can take it with you anywhere for easy entertainment on the move. Having a 7 inch display is perhaps the best balance between size and functionality as it’s easy to fit in a bag but large enough to enjoy films and games clearly. The OTG functionality let you connect a keyboard or mouse so it can even double as a replacement for your laptop allowing you to study or work on it effectively. As Google Play comes pre-installed you get access to the largest app sore around an can choose from a range of tools for simplifying li9fe or games for entertainment or downloading and streaming films. Connectivity through Wi-Fi and Bluetooth allow for wire free data transfer and the 8GB of onboard memory is easily expanded using the micro SD card slow that has support for up to 32GB of extra space. This product is in stock now, we guarantee next working day shipping and offer a 12 months warranty on all our products. 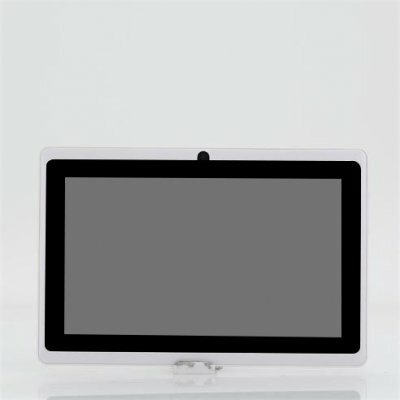 Brought to you by the leader in electronic devices as well as wholesale Tablet PC's, Chinavasion.